Cover with cookies, cupcakes, brownies, a crisp, or whatever your specialty happens to be. When family, friends, and guests have eaten almost all, they'll see the message on the bottom. 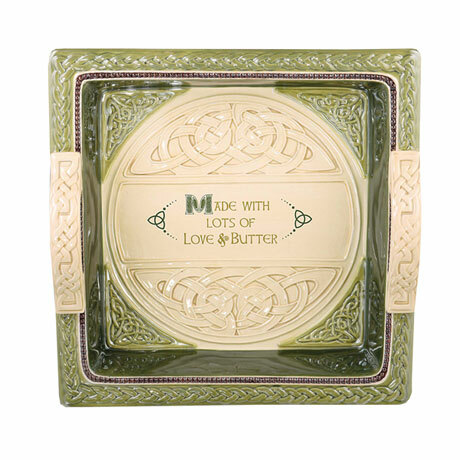 A high-gloss glaze and Celtic designs make this serving dish a standout on any occasion. 10" square, 3 1/4" high. 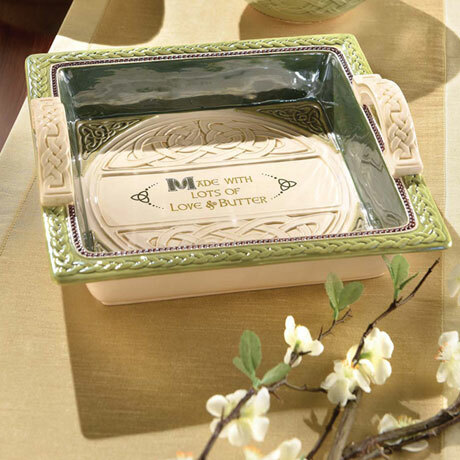 Oven and dishwasher safe.